There seems to be some doubt here. The Guinness World Records appears to have bestowed the award on at least two different books, and now The Telegraph of 13 March tells us of a new contender, Shiki no Kusabana. 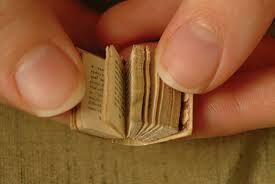 Amazon offers “The Smallest Book in the World” by Josua Reichert. I guess the distinction between Teeny Tim of Turnip Town and Chameleon is (perhaps) that Teeny Tim is the smallest reproduction of a printed book, though it’s not clear that it was ever yet a printed book. The author’s video on Kickstarter gives a nice view of this and other books he has done. He’s succeeded in raising enough money to turn it into what he’s calling a large print edition — i.e. one humans can see. Though clearly not the smallest — you can see it, and probably at a pinch read it — I rather like this one. When it comes down to it, what’s the point? Who really wants a book so small that if you drop it on the carpet you risk never finding it again? Excuse me: but books are for reading, and that means reading without the help of an electron microscope, or even a magnifying glass. Though see the previous post on the print disabled. News of all this comes to me on Twitter from Page-Turner, the literary blog of The New Yorker. 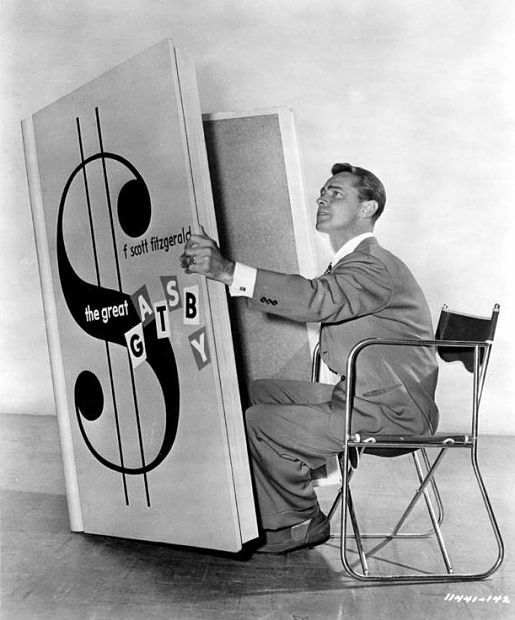 No sooner had they alerted us to the small book question, that they follow up with a tweet on extra large books used in movie ads originating at Book Patrol. This one is of current relevance. Why do we publish books? For money, obviously. Some of us would like to believe we are also handmaidens of literature — or maybe some more moderate expression like “bringing valuable writing to a discerning public”. Well you know what I’m trying to say. We spend, however, little time thinking about those who can’t read. And I don’t mean so much that (happily decreasing) band of illiterates; I refer to those who physically cannot, or find it difficult to, read. The term “print disabled” was originated around 1988-1989 by George Kerscher to describe people who could not access print. A print-disabled person is someone who cannot effectively read print because of a visual, physical, perceptual, developmental, cognitive, or learning disability. 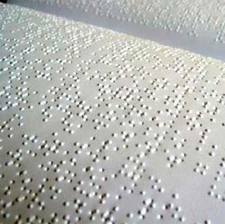 Braille is probably the technology which leaps to mind (the Braille Wikipedia entry is extensive), but there’s obviously more to it. Large print is obviously a relatively low-tech part of the story. Rachel Aydt writes a piece in Publishing Perspectives on 14 March, encouraging publishers to pay attention to the needs of the print disabled. She mentions the DIAGRAM project. This link to the Bookshare blog gives practical advice on how to prepare EUB3 files to make them maximally accessible to the print disabled. Here is a link to a Galley Cat story about a font designed to help the dyslexic read. One wonders if this is something publishers will spend money on. It’s obviously right, but but will it pay for itself? If we can do it at little or no extra cost, of course we will. But however idealistic we are, there are financial ramifications consequent on every decision we make. 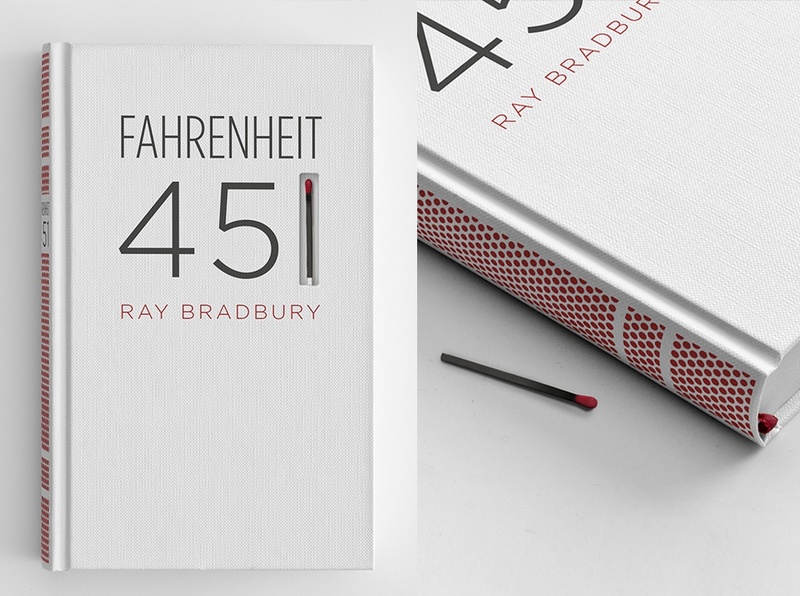 Elizabeth Perez’s design for Ray Bradbury‘s Fahrenheit 451 made the front page of Reddit, earning more than 400,000 views in a couple days. The book’s spine is screen-printed with a matchbook striking paper suface, so the book itself can be burned. We get more and more talk nowadays about how authors are going to catch up with the flexibility that the digital format offers them, and transform the novel into something new and amazing. Maybe we really are waiting for that genius who can transform the novel, which of course we can accept is a product of social and industrial/technological developments. The Guardian yesterday has a piece telling us that “Top novelists look to ebooks to challenge rules of fiction”. And just the other day, Publishing Perspectives brought us a description by Jeff Gomez of his interactive novel for the iPad, Beside Myself. I may be old-fashioned (though I am format-agnostic when it comes to reading digitally or in print) but I just don’t get too excited about the prospect of hyperlinks, video clips, interpolated music, multiple endings. Particularly multiple endings. I like my author to tell his/her story, not leave it to me to decide among alternate denouements. It’s not even that new — I have a book on a floppy disk, published in 1990 by Eastgate Systems, Inc. of Cambridge, Mass. entitled Afternoon, A Story, by Michael Joyce. Even if I could get it to work nowadays, I wouldn’t bother. I can remember being annoyed by being forced to go over the same (similar) ground again and again. I just want to read a book, get to the end, and start to read another book. I don’t think anything is added to say the experience of reading Eugene Onegin if in the background the mazurka from Tchaikovsky’s opera is playing at Tatiana’s birthday party. A side trip to a video showing that scene would, to me, be nothing but a distraction. If I want to see a movie, I’ll watch a movie; if I want to read a book, I want to read a book. Heck, I even find stopping to look up a word in the dictionary gets in the way — if I am sufficiently interested in the meaning, I’ll remember the word, and look it up afterwards. None of this should be taken as criticism of these earnest authors who hope to push the envelope: they have the right and obligation to keep on shooting off their sighters. Here’s a link to a story from Huffington Post stimulated by a Library of Congress exhibition “Electronic Literature and its Emerging Forms”. This is reminiscent of the battle over The Wind Done Gone, the parody by Alice Randall of Gone with the Wind which the estate of Margaret Mitchell tried to prevent. The injunction against the book’s publication by Houghton Mifflin was vacated by The U.S. Court of Appeals for the 11th District. The case was ultimately settled without the copyright question being resolved. Randall’s book appropriated characters, settings and plot twists from Mitchell’s novel and copied descriptions from the original bestseller. But Randall used these elements to criticize the original book and this gave the publisher a defense against the lawsuit. Wikipedia’s article on Fair Use says “Producers or creators of parodies of a copyrighted work have been sued for infringement by the targets of their ridicule, even though such use may be protected as fair use. These fair use cases distinguish between parodies (using a work in order to poke fun at or comment on the work itself) and satires (using a work to poke fun at or comment on something else). Courts have been more willing to grant fair use protections to parodies than to satires, but the ultimate outcome in either circumstance will turn on the application of the four fair use factors” — the purpose and character of the use, the nature of the copied work, the amount and substantiality, and its effect on the work’s value. Of course, writing a new Sherlock Holmes story is not really parody. There was a concept called Passing Off when I was in Britain, which I always thought was the protection against someone publishing your book (idea) using different words. I had believed that it was the actual words that were protected by copyright — not the ideas in a book, but, needless to say, I am not a lawyer. Still I see this all as a huge mystery just waiting for someone to pay the lawyers to sort it out for us. Given the way copyright has been going in the USA recently one despairs of the chances of any decision going the way of authorial freedom. The old idea that copyright existed for the encouragement of learning seems to have lost out to the Mickey-Mouse-ification of our law. How long can this protection of the income from your famous ancestor’s work go on? Conan Doyle is out of copyright (except for a handful of posthumous stories). Is there some enterprising Shakespeare descendant who can put an oar in? New York Public Library helpfully provides a list of targets. One might almost think that Richard Lancelyn Green’s death in 2004, referenced in The Times article, could even be subject to a copyright infringement suit! 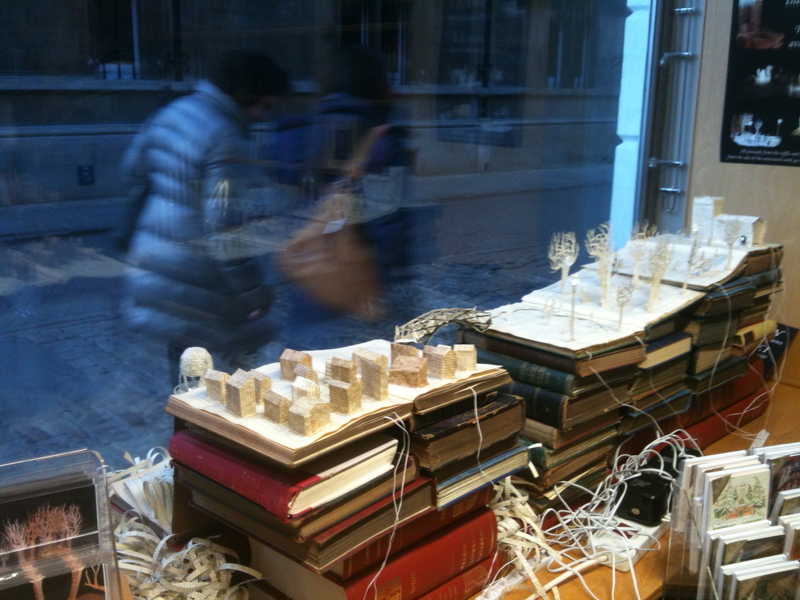 I was shocked to find a book sculpture in the window of my favorite bookshop* in the world when I was in Cambridge at Christmas time. My photo is a pretty paltry effort compared to the set on the Art in Cambridge blog. The art form seems to be centered on Scotland. The TLS of 7 December showed us one based on Tam O’Shanter. This and others are shown at the Scottish Book Trust site. Maybe these Scottish and CUP connections will force me to revise my original objection to this art form. After all I have certainly ordered enough unsaleable books in my time that I have to acknowledge that there’s really no shortage of raw material. Somewhat more extensive, though less amazingly-finicky-detailed, are these sculptures by Frank Halmans. The site designboom shows more of his work. * My pick of the Cambridge University Press bookshop as my favorite refers back to its predecessor: Bowes and Bowes (Sorry CUP). Bowes and Bowes was a treasure trove, beautiful, handsomely situated and manageable in size; and this was at a time when Cambridge had lots of contenders. It also had the unbeatable feature that as an undergraduate I could have an account. I’d just wander out with an armful of books, and not have to worry about paying for them. That was someone else’s problem! Brave New World alerts us to a paper by Jonathan Band and Jonathan Gerafi, ‘Foreign Ownership of Firms in IP-Intensive Industries’ published on infojustice.org. I’m surprised, I guess, at the scale of the shift, though obviously we are all aware of the general situation. On the O’Reilly Tools of Change for Publishing blog Jenn Webb has an interview with Laura Dawson of Bowker which clarifies the issue a bit more than my original post on The Economist article managed to. Of course, as Kevin McLaughlin points out in his comment, Ms Dawson is an interested party. But I think my main concern, that the ISBN is inextricably tangled up with our current system of distributing books, does still stand. Eugene Schwartz gives us a nice round up of book shows in Book Business today. It’s kind of reassuring that there are people out there who care enough about the aesthetics of book production and design to give their time to organize these events. Winners of The New York Book Show will be featured at the April meeting of the Book Industry Guild of New York on 15 May.